In 2000 the Gatliff Trust published Neil Pinkett’s Walks from the Gatliff Hostel at Reinigeadal. Neil is the Alfred Wainwright of Harris, producing a handwritten pictorial guide and illustrated by his own sketches. On the other hand, it is nice simply to climb up the slope at the back of the hostel and sit on a rocky outcrop up above the Dale of the Rowan Tree, and just be there……. The booklet is available to download at this page. 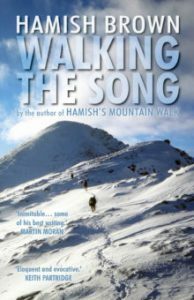 In 2017 the Sandstone Press published a series of mountain essays by veteran Scottish Mountaineer Hamish Brown. His book entitled Walking the Song includes an account of a two night stay at Rhenigidale over Christmas and his walk up the isolated hill of Roineval. We are grateful to Hamish Brown and the Sandstone Press for permission to reproduce his account of a winter day in the trackless terrain of Lewis that may be unfamiliar to those who stay at Rhenigidale. The essay is available to read here. The Gatliff Hebridean Hostels Trust is dedicated to running Berneray, Howmore and Rhenigidale hostels, in partnership with islanders, to a sound basic standard. Its goal is to provide hostellers the opportunity to stay a while to experience and maybe come to love the unique culture and natural environment of the islands. 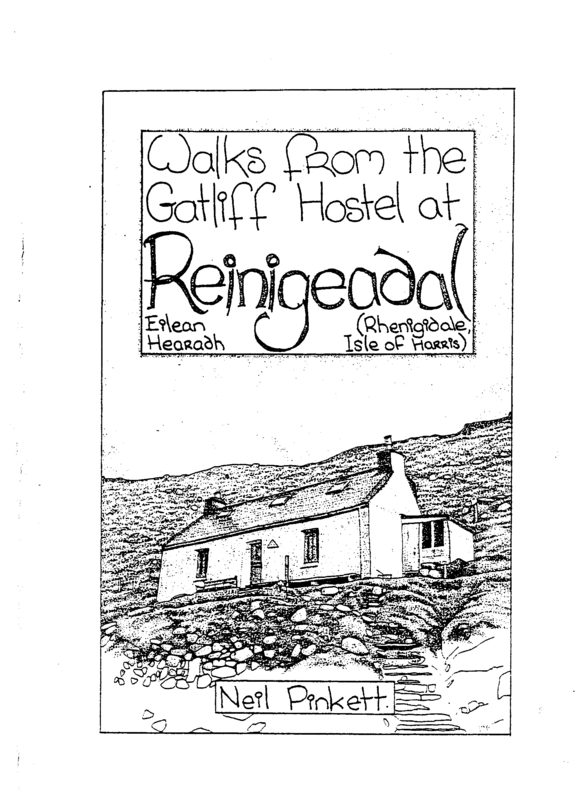 The Gatliff Hebridean Hostels Trust was founded in 1988 and is part of the SYHA family. We publish two newsletters: The Hebridean Hostellers Newsletter twice a year, and the annual Newsletter of the Crofters' Hostels. Both are sent to those who join the Trust (membership £10 annually) and the second is also sent to all who visit our hostels in the year. We are not able to take advanced bookings at any of our hostels but you are unlikely to be turned away. For this reason we are also unable to predict availability.